Who is she? She’s the Black Widow, of course! And who could blame your ol’ pals at Marvel for lending her the limelight? She’s not only one of the most scintillating, sensational super-spies ever, but she could really, really hurt us if we don’t give her what she wants, True Believer! This week, the Black Widow takes a turn in KILLMONGER #4 and on February 20, she'll follow up a furious first issue with BLACK WIDOW #2! Didja Know… The Widow debuted as a very different type of character? 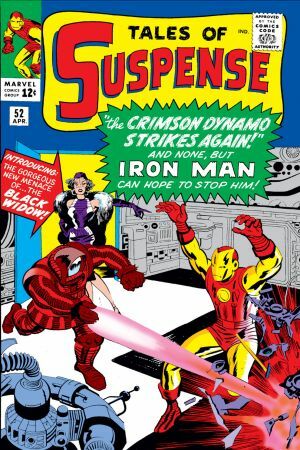 Back in his early armored adventures, Iron Man met a mountain of malicious meatheads, but the loveliest, most larcenous of all called herself…the Black Widow. In TALES OF SUSPENSE #52, none other than the Russian topdog leader himself dispatched Madame Natasha to the United States to rope a Red defector and bring him back behind the Iron Curtain. The Widow tried her feminine wiles on dashing Tony Stark, but ultimately failed in her mission, sending her running for the hills and into hiding. Not long after, in TALES OF SUSPENSE #53, in fact, Natasha glommed her eyeballs on Tony Stark’s new anti-gravity ray thingy to get back into Russia’s good graces, but that too fell apart on her. Though she literally moved mountains with the device, Iron Man made a molehill of ‘em and slowed her roll once again. The Black Widow went back to the drawing board to scheme new schemes. So, in short, the Black Widow hit scene as a swingin’ spy, not too super, but more than a bit beautiful to catch Tony Stark’s wandering eye and give him the goose. It’d take a wee while for her to become the titian-tressed Super Hero we all know, love, and fear. Didja Know… Natasha's first costume was nothing like her second? After a few more sojourns, the Black Widow handed in her couture for a more traditional costume in TALES OF SUSPENSE #64. The dashing new duds came giftwrapped from Russia with love, and though the grey tights, cape, and mask made her fit in with the Super Hero crowd, she still operated as anything but. It was a big departure for Natasha at the time, but wilder washables would loom large in her future. In fact, in AMAZING SPIDER-MAN #86, the Black Widow washed that grey right out of her wardrobe and donning a certain black outfit—soon to become famous—and sporting flame-red hair, she introduced a new look to challenge Spider-Man for the title of Most Wondrous Web-Head. Who won? Well, bunky, let’s just say May Parker’s nephew and Russia’s former super-spy get along a lot better these days now they’re on the same side! Didja Know… The Black Widow has dated a few Super Heroes? 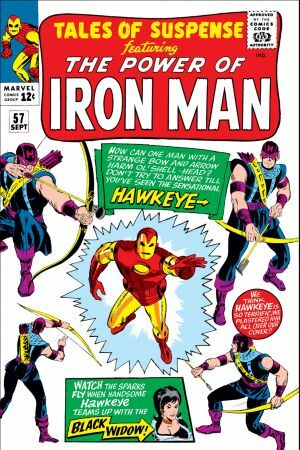 The Black Widow wove a web around a young Hawkeye in TALES OF SUSPENSE #57 to convince him to kill Iron Man, and while at first Natasha only played with the archer’s ardent affections, she soon swooned at his kiss and fell in love with the likable loser. Though they didn’t stay together forever, Hawkeye did manage to hook her up with the Avengers, so there’s at that at least. 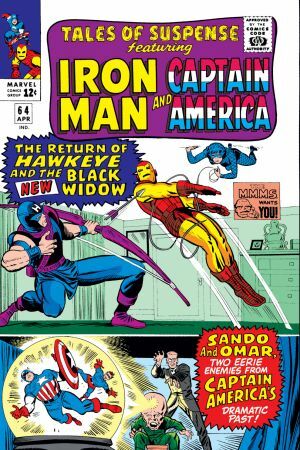 In AVENGERS #43-#44 the Black Widow’s teammates learn of her ex-husband, a man called the Red Guardian, and with good reason since he operated as Russia’s answer to Captain America until his untimely death. Peruse these eye-poppin' publications with Marvel Unlimited right now! 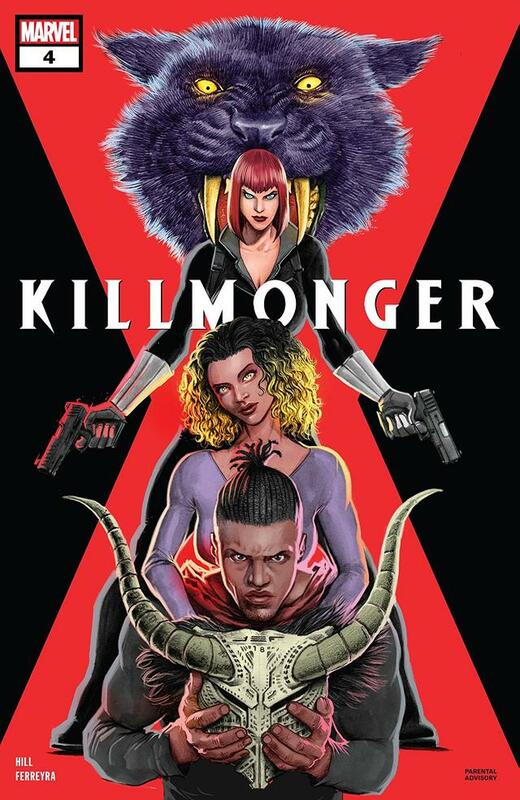 Then visit your local comic shop to read KILLMONGER #4 now and BLACK WIDOW #2 on February 20!